Swinton Park is a luxury castle hotel in the Yorkshire Dales, with fine dining, cookery school, spa and fishing within its extensive grounds. Owned by the Cunliffe-Lister family since the 1880s, and the ancestral seat of the Earl of Swinton, guests at the hotel enjoy an authentic stately home experience. Rooms are furnished with antiques and family portraits, with the warmth and grandeur of a traditional English house. 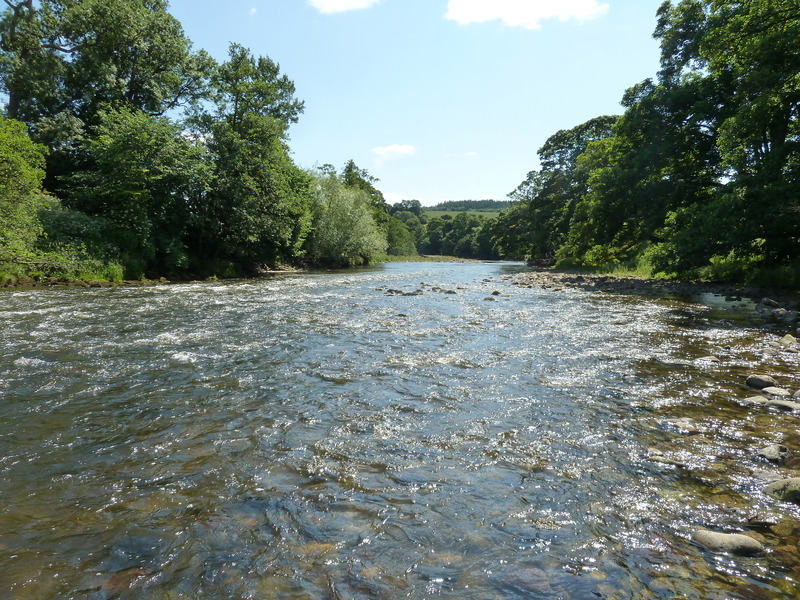 The estate has fishing for wild brown trout, grayling and salmon along its 4 miles of single bank River Ure, split into 2 beats. The River Burn has over 6 miles of double bank. The fishing has been lightly fished by family and friends of Earl Swinton. Leighton Reservoir is within the estate grounds and is stocked with rainbow trout. You can fish using traditional wet fly techniques, including the dry fly, which can also be very effective for these hard fighting fish. For guests staying at Swinton Park, the Orvis Rod Room is well equipped with Orvis fly rods and flies, jackets, waders, coarse rods – and a drying cupboard for those caught out in the elements! A refundable deposit of £50 applies for use of the rods. Only two day tickets are available per day at £25 per permit – read more. If you would like to book a guided days fishing please contact Tom at FishPal on 01573 470612 who will recommend local guides.